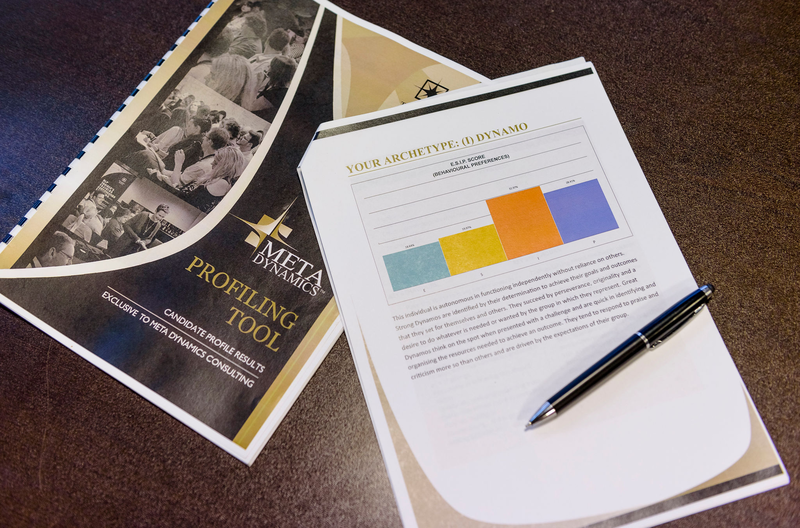 The Meta Dynamics TM Profiling Tool provides revolutionary results and answers for businesses. Its four dimensions provide a complete overview of everything you need to consider when it comes to business success. It was developed throughout 2010 and 2011 as a result of a growing need from business owners for more structure around the challenges they were experiencing. The model is a simple framework for determining where your challenges lie. It places focus on what matters most. It gives us clarity through providing criteria for what we need to take care of in our business first. When thinking about a situation, there are four levels – dimensions – to consider. These dimensions tell us what to think about for any situation, and help us identify gaps in our thinking, in our communication and in our actions. These dimensions cover every aspect of any situation in our business, regardless of what it is. Imagine having a framework that not only simplifies your business results, but also gives you the answers you have never had. The market is filled with tools and systems aimed to provide clarity on personality traits but none describe the intricate nature of a thinking pattern. The beauty of holding this knowledge is that in understanding it you can help identify and improve your business fast. It provides a clear blueprint of your business and directs you instantly to what needs to change. This tool is proving to set businesses up for long term success.